As a Microsoft MVP award winner I’m under no obligation to promote Microsoft products. If you’ve read my blog before you know I haven’t been a fan of Windows Vista. Contrary to advice from Microsoft, I also recommend waiting 7-10 days before installing Windows updates. My answer to Rhonda may sound like a paid advertisement from Microsoft but I believe strongly in the benefits of Windows 7. I typically tell folks to wait and let others test new software. Windows 7 may have been just released to the general public, but it’s been widely deployed for months. Some of us have been using a stable version of Windows 7 since last November. Many readers have told me they’re going to wait for the first service pack before the upgrade to Windows 7. If you’re currently using Vista think of Windows 7 as the ultimate service pack. Don’t wait. If you’re happy with Windows XP I’m not as enthusiastic about upgrading. If you can afford it, you have time to reinstall your favorite software, and you aren’t dependant on really old hardware or software then go for it. I really wish I could upgrade and have all my machines running Windows 7. Unfortunately, I still depend on some older hardware on my main desktop so I won’t be upgrading immediately. At least, as a developer I need to keep a machine running XP so I can test and verify all new versions of WinPatrol. I even have an old Gateway Astro running Windows 98 just for testing. 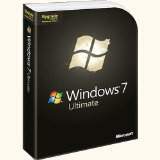 If you are ready to upgrade to Windows 7 plan ahead. Create a pile of CD’s with all your favorite software and make sure you have your license numbers and codes. Download any software online and get your registration keys. Backup your Email and any documents, music and photos so you can do a clean install. No question, you’ll want Windows 7. If you can afford it and like to show off, sure, but most people don’t “need” a multi-touch screen. It’s cool but I’m still waiting for a real multi-touch killer app. Personally, my next purchase will probably have multi-touch screen. If you have to ask the question probably not. There are some advantages to using a 64 bit system but at this time there are still too many potential disadvantages. Intel hasn’t scaled back their research in making faster, cooler 32 bit processors. My next purchase will probably be a 32 bit machine. Have you noticed that your fingers feel numb when you wake up? Do your fingers fall asleep when typing, holding the steering wheel or fork? If you recognize these symptoms you may have the first signs of Carpal Tunnel Syndrome. The concept of Ergonomics is not new to computer users and repetitive movement injuries like Carpal Tunnel Syndrome have been discussed before. Unfortunately, I predict the incidence of these injuries is going to rise along with the increase of small laptop and netbooks. Long hours on a regular keyboard can be bad enough but think about how cramped up your hands are updating your Facebook status on your new netbook. I often write about things I experience and today’s blog is no different. This morning my doctor prescribed special wrist splints to treat the pain I now have shooting up my wrists. Luckily, CTS(Carpal Tunnel Syndrome) is very treatable when found in its early stage. Unfortunately, I love my Thinkpad and may have a hard time changing my keyboard habits. There are many other repetitive movement injuries often diagnosed as CTS. True Carpal Tunnel is specific to pressure on the “median nerve” which travels through a small crowded area of the wrist. It can be diagnosed very easily by your doctor. When caught early it can be treated with rest and anti-inflammatory drugs. I know you’re all thinking, “What about Blackberry’s and other cell phone use?” I don’t think it’s far fetched to to believe CTS is in the future of many of you using hand held devices to text your friends of update Twitter. I can’t say for sure but I can make the claim using a small laptop keyboard contributed to my latest medical condition. Earlier this month I had a huge reaction to my post about cleaning up the Windows “Temporary Internet Folder”. Comments from readers provided many other great tips but there was some confusion over one of my major points. Even if you don’t use the stand alone Internet Explorer browser, other components of Windows use this folder so if you missed this post check it out. A lot of tipsters advocate going into the Prefetch folder and deleting the files so it can start with new information. I’ve been playing with this and while I haven’t seen any difference, I don’t see this causing any harm. The next few times you reboot it might take a little longer but that’s expected. I have determined that Windows does do some garbage collection on its own and limits the number of .pf files in this folder to 128 or less. Microsoft will pay you to forward this Email. If you believe this one I have another myth for you. An online tip I’ve seen recommends modifying the registry value used by the prefetch mechanism. There are four values used here by Windows. If you read that you can use a value higher than 3 don’t believe it. I’ve heard from people who swear they see faster performance but there’s no technology to back up the claims. I’ll be doing some more research on how prefetch, SuperFetch and other memory optimization is done in Windows 7 but for now I recommend just letting Windows do its thing. Thanks to continued support and encouragement I’ve been hard at work at making my WinPatrol program the best it can be. For almost 12 years, WinPatrol has consistently been one of the least intrusive programs out there but I thought it was about time to optimize Scotty even more. Even though WinPatrol is written in the programming language “C” I’ve found some monitoring functions were even quicker when written directly in machine code or what we call Assembly language. The new super optimized version will be available to the public on Monday, October 12th. To show my appreciation to everyone who has supported WinPatrol I've made the new version available early but just to PLUS members. Just go to http://www.winpatrol.com/upgrade.html. You’ll need your name and plus code which are available on the PLUS tab in the WinPatrol software. Fans of our free version will have access on Monday. Since Firefox 3 changed from cookie.txt to SQLite database format Scotty hasn't been hungry for Firefox cookies. Support for Firefox 3 has been the single most requested features. Turns out I was able to include support for the SQLite format without increasing the size of WinPatrol.exe. While I was at it I also included support for Google Chrome which also uses SQLite to store their cookies. The monitor component of WinPatrol has been optimized and shrunk so WinPatrol.exe is now only 314 KB instead of its previous 336 KB size. I’m confident you won't find a smaller Windows system monitor as powerful as WinPatrol. Real-time scanning uses 30% less CPU than the polling provided by the free version. The real-time component has been optimized using more direct machine language then its original C coding. Conflict reduction with other security applications. Contrary to the warnings by AV suites, Scotty has always worked and play well with others. WinPatrol.exe has been optimized to handle the results of any Windows hooks in its own code space reducing any conflicts created by other security programs. I have plenty of respect and admiration of the Apple Corp but like many, I’ve been critical of some of their auto upgrade tricks. A common complaint is they don’t make it easy to remove their auto upgrade programs from your list of Startup programs. The last complaint I wrote about was their efforts to force people to download the Safari browser when you download any other Apple product. Free QuickTime Menu with Pro features disabled. As someone who publishes a free program, I’m always looking at ways to encourage folks to upgrade to WinPatrol PLUS. I’ve really tried not to be annoying or obnoxious. Most people tell me I’ve made the free version too powerful so there’s no reason to upgrade. Apple on the other hand has plenty of features only available on the PRO QuickTime. I have no problem with Apple’s technique. I just think it looks a little desperate. I’ve often followed the advice of Groucho Marx when he said, “I’d never be a member of club who would have me as a member”. One exception to this rule is a group of highly specialized technical experts known as Microsoft® Most Valuable Professionals. Last year I was honored to receive MVP recognition for my work in the field of computer security. I’m proud to announce that today I received notification of my newest Microsoft® MVP Award. I’ve had the pleasure of meeting and knowing other MVP’s from around the world. I can tell you it’s a great feeling to be considered one of their peers. "We seek to recognize the best and brightest from technology communities around the world with the Microsoft® Most Valuable Professional (MVP) Award. With the MVP Award, we thank these inspiring individuals for representing the voice of thousands in the community through the powerful and independent feedback they give us, and for helping our customers maximize the potential of their software." I’m sure I’m not alone today in getting my notification so I’d also like to congratulate all the other hard working, caring MVP’s who received their award. Good Job!